If you have a really sweet-tooth, Christmas is a good time to taste the great variety of sweets we make in these holidays. 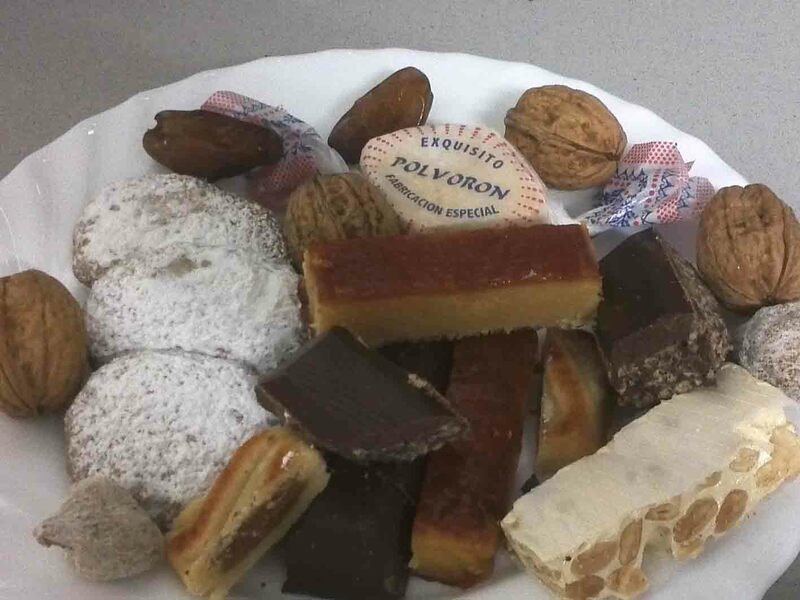 The most popular ones are mazapanes, turrones and polvorones. 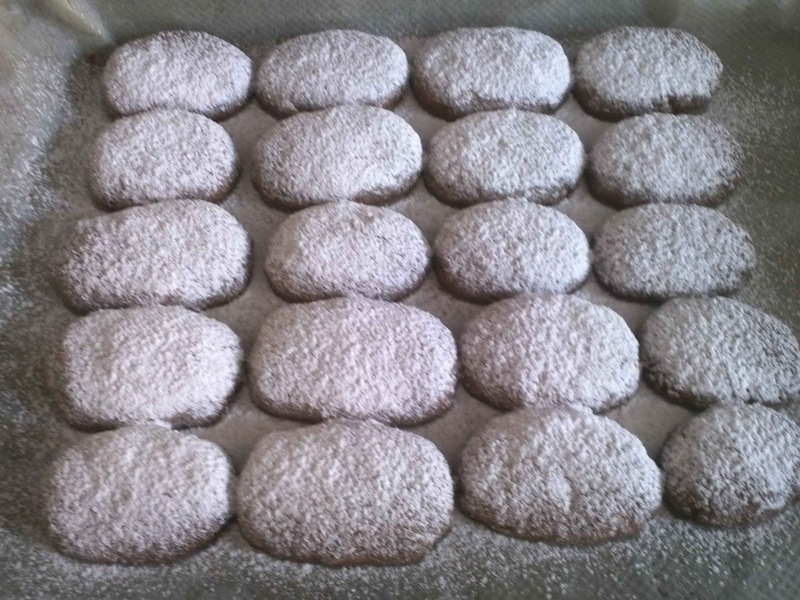 Mazapán or marzipan is a Christmas sweet made of almonds, sugar and eggs. Marzipans and most of the nougat candies are usually made of naturally gluten-free ingredients, but they can be affected by cross contamination. So, although hand ones from bakeries are very tasty, the best option to avoid gluten is to buy them in gluten-free specialized bakeries or to buy them manufactured in the supermarket in order to avoid cross contamination. You should read the label and avoid those containing trigo (wheat), trazas de gluten (gluten traces). 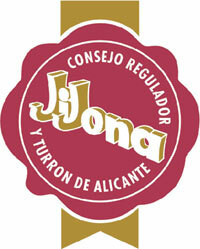 In general, turrones with “Indicación Geográfica Protegida Jijona” quality label are safe for coeliacs / celiacs. You can find them in every supermarket, for example, Mercadona. Polvorones or mantecados are other kind of Christmas sweets. They are similar to cookies, but made of manteca de cerdo (pig lard). Their principal ingredient, apart from pig lard and almonds is flour, so we can only eat special gluten-free polvorones, usually made of rise and corn flour. Some brands of manufactured polvorones I know are E. Moreno, Adpan, Airos. Some shops where you can buy hand mazapanes, turrones and polvorones are: Artediet in Madrid, Panadería José María García in Alicante, Confitería Marqués in Gijón. You can find these products also in on-line shops: Zona Sin, Foody, Alervita (all of them also with shops in Madrid). - Gluten-free cocoa, cinnamon, coconut or lemon grated rind. Mix corn, rice and almond flours and brown them 20 minutes at 160ºC in the oven, and stir from time to time. When it has got cold again, add the sugar and mix them. Then, add the pig lard and knead until you have brilliant, compact dough. At that moment, you can divide the dough in pieces to add gluten-free cocoa, cinnamon, coconut or lemon grated rind to every piece. Give the shape of the cookies of 1 or 1,5 cm thick and put them in the oven over 12-15 minutes at 180ºC. And finally, sprinkle them the icing sugar.